This artwork of designer decorated flip flop sandal type high heel shoes has lots of bling bling type glitter for a beautiful artistic image for your wall decor. 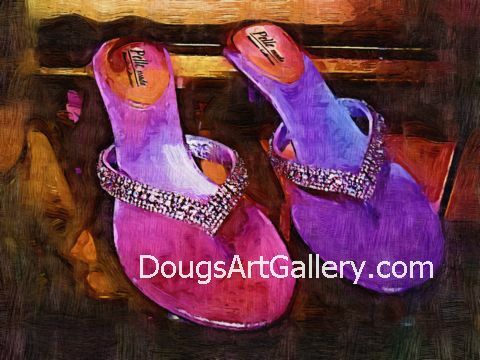 Click here to leave Bling Bling Decorated Flip Flops for more links to artists and their online art galleries, art prints and art posters. Browse the links found at the bottom of Home Page.